In August 1935, the Civil Conservation Corps opened a camp on 10 acres of the M. F. McHugh farm located on McHugh Road. The camp housed 100-120 men at one time. Crews worked on area conservation projects, including reforestation, strip farming, terracing, stream bank protection, and gully control. 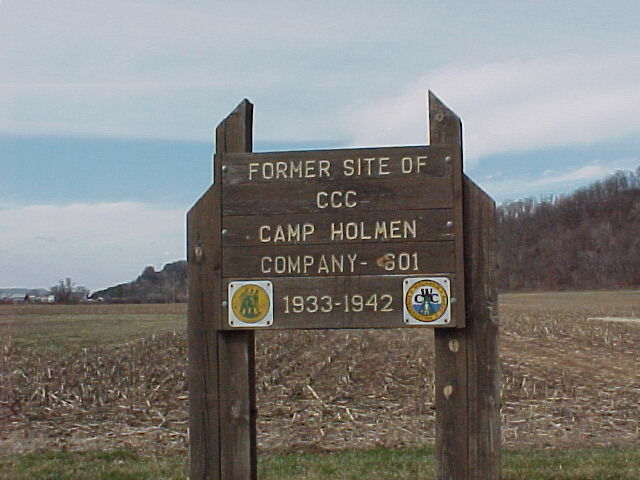 The camp closed in July 1940.